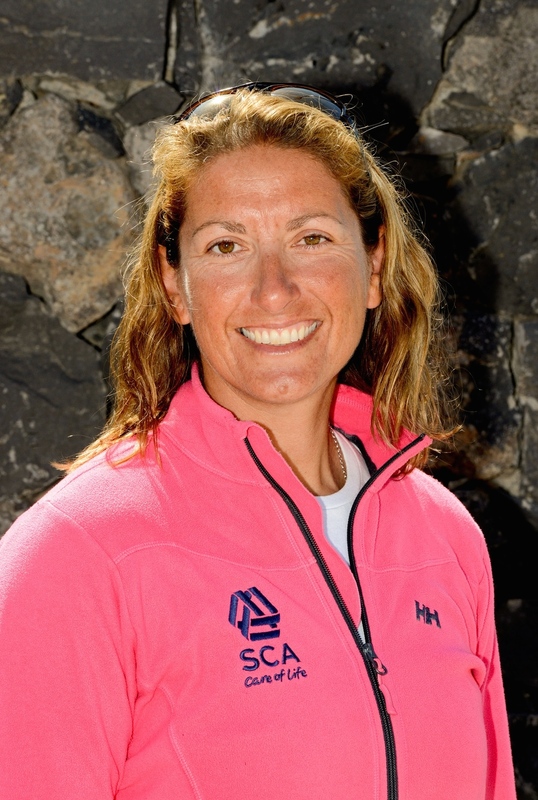 Lanzarote, Spain – March 17, 2014 – Dee Caffari, the Briton who has made a career of setting new standards in female offshore sailing, has been recruited by Team SCA for their Volvo Ocean Race 2014-15 challenge. 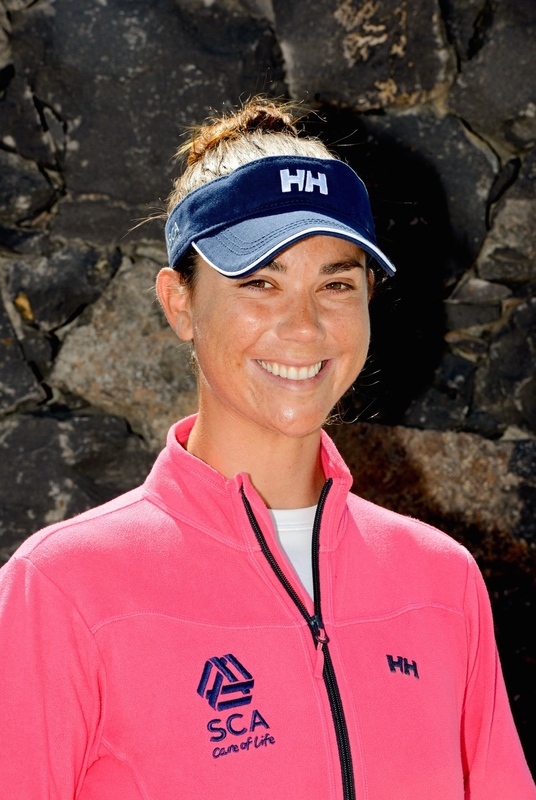 The 41-year-old from Watford, England, has been named alongside Sara Hastreiter (USA) and Elodie-Jane Mettraux (SUI) as the latest squad members in the first all-women’s team to compete in offshore sailing’s premier professional test since 2001-02. Caffari brings a wealth of experience to the campaign. She has competed in the Vendée Globe, the Global Challenge, the Barcelona World Race and four transatlantic races. She is the only woman to have sailed solo around the world in both directions (east about and west about) as well as being the only female to have sailed around the world three times non-stop. On top of this, she holds the female-crewed monohull Round Britain and Ireland speed record, setting it in June 2009 in a team also including her new Team SCA crew mate Sam Davies with a time of six days, 11 hours and 30 minutes. “I am most looking forward to being back on the race track around the world. The best part of this project is working with a great bunch of girls and all working together towards the same goal,” she said. Caffari, Hastreiter and Mettraux, whose sister Justine had already been recruited, bring the total of SCA crew members to 12 following an 18-month selection process. The others are Sally Barkow (USA), Carolijn Brouwer (NED), Sophie Ciszek (AUS), Sam Davies (GBR), Abby Ehler (GBR), Stacey Jackson (AUS), Annie Lush (GBR), Justine Mettraux (SUI) and Liz Wardley (AUS). Only 11 can sail with the other staying on shore as reserve. Mettraux, 29, who won the amateur ranking in the 2012 Tour de France a la Voile, is one of four under-30 members of the squad. 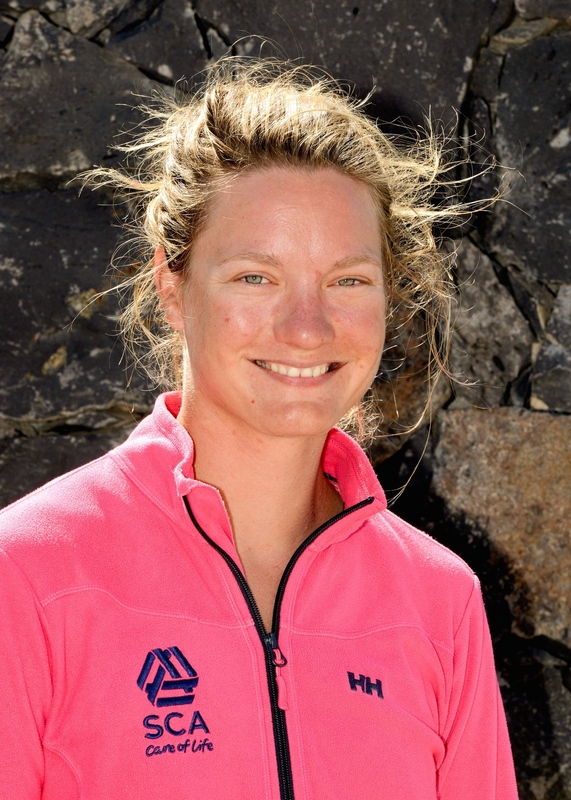 Hastreiter, also 29, brings a wealth of offshore experience into the SCA line-up too, having sailed over 40,000 nautical miles during her career and many leading events in the States and the Caribbean. The team is based in Lanzarote and is due to complete two transatlantic passages in May as they ramp up their training before the start of the Volvo Ocean Race on October 4 this year with the Alicante in-port race. The teams leave for the first leg destination of Cape Town on October 11. 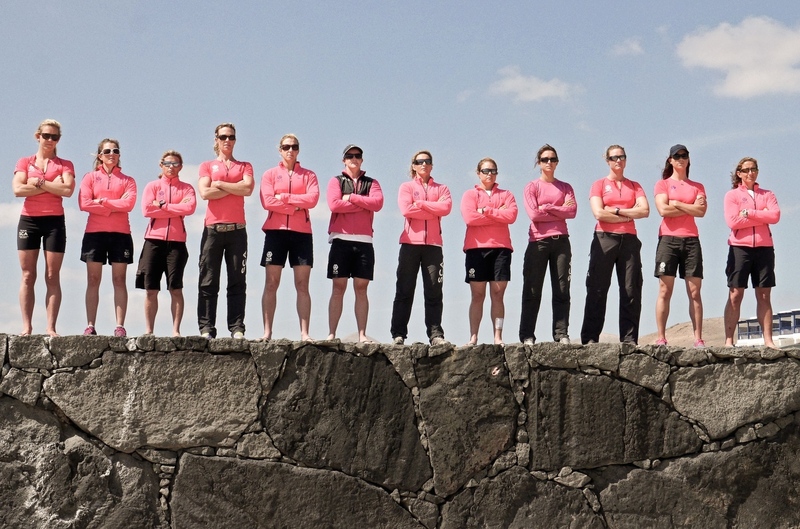 Richard Brisius, managing director of Team SCA, said he was delighted with the way his team was shaping up. “It has been a long but very rewarding process and there is no doubt that there is a huge amount of female talent out there that has just not had the opportunity to break through the glass ceiling of offshore sailing,” he said.